A close-knit Chicago community, Mt. Greenwood is situated on the city’s southwest side and is known for being home to many of Chicago’s police officers and firefighters. 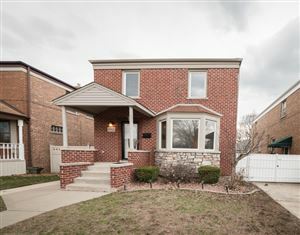 The proximity to downtown and the surrounding family-friendly neighborhoods of Beverly and Morgan Park make Mt. Greenwood a convenient, safe place to live. The sprawling Mt. Greenwood Park offers a neighborhood gathering place complete with a swimming pool, fieldhouse and outdoor ice skating rink. Mt. Greenwood features several excellent schools, including the Chicago High School for Agricultural Sciences with its own working farm and Saint Xavier University. Learn more about Mt. Greenwood schools.